During a recent scan on the sourcing landscape, I came across Sanjay's book which takes a good view from the buy side of sourcing though it also considers the selling (outsourcing vendor's) perspective too. The book starts with an overview of outsourcing models and terminology, a good primer for those new to the industry and a handy reference for rest of us. The section on outsourcing strategy has good insights and planning inputs helpful for sourcing managers. Likewise, the outsourcing design section is a primer on key design aspects. 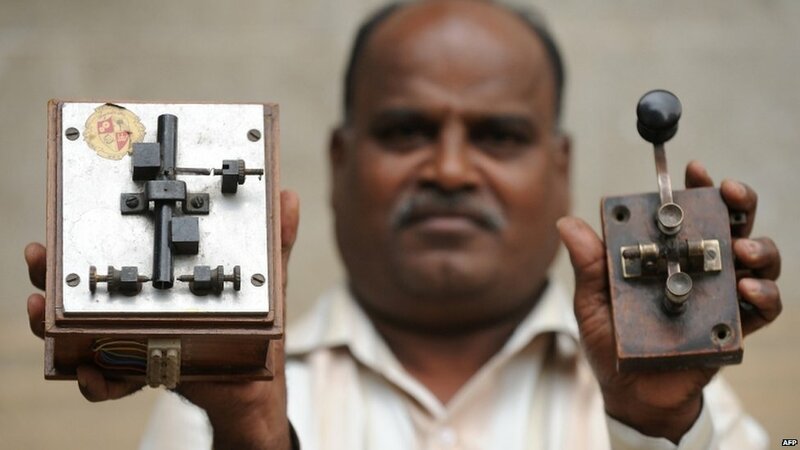 Is my wristwatch destined to go the way of Indian Telegraph? Last week I had my battery replaced on my 10-year-old Swiss-army wristwatch and within a few days, it stopped working. Since then I have been walking around watchless. I continue to instinctively look at my bare wrist when I have the urge to tell time only to resort to pulling out my smartphone or look around to see if there are wall clocks nearby and sometimes resort to sneaking a peek at a passerby’s wrist watch. Both have been subsumed by other technologies. Cellphones/smartphones which we all carry can also tell time. Technologies like SMS, cellphones and ubiquitous emails have long superseded most if not all the need for telegraphs. Just as in case of telegraphs where habits or nostalgia kept the system alive thus far, most (if not all) men who grew up with wrist watches continue to wear one. I have been meaning to go back to the mall and confront guy at the watch repair kiosk, assuming it is just a defective battery not a watch whose time had come. In the meantime, I continue to sit on the fence debating whether to pull the plug on my wrist watch. Following the Edward Snowden saga made me reflect on the power that governments have over citizen when it comes to asylum and citizenship, a power one cannot take very lightly. Play the Snowden saga against the immigration debate in America and one can see two sides of the coin emerge. One side are people like Snowden who willingly risk the privilege of American citizenship to make a point at the world stage. On the other side are millions who continue to make the trek to the land of opportunity, only to find they have to climb huge walls, sometimes literally and mostly walls of bureaucracy before they are granted the privilege Snowden is willingly relinquishing. Few countries in the world are able and willing to offer asylum to someone wanted by big-brother. If anything, this saga shows the real might of America in the world stage.